The price of coking coal gapped higher again on Thursday with the industry benchmark price tracked by the Steel Index surging 4.6% to $314.00 a tonne due to continued supply outages following tropical storms in Australia. 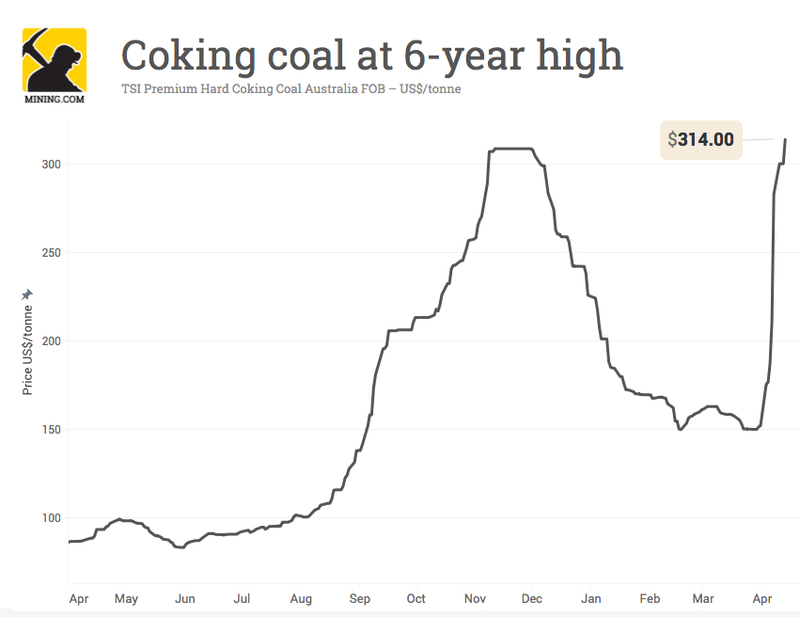 It's the highest price for Australia free-on-board premium hard coking coal since the second quarter of 2011. That price spike was also the result of flooding in Queensland that saw quarterly contract prices negotiated at an all time high of $330. There was little in the way of a spot market and quarterly contract benchmarks negotiated by Australian miners and Japanese steelmakers was the industry standard. Coking coal has more than doubled in two weeks on the back of disruption to Australia’s coal exports associated with Cyclone Debbie which caused serious damage to key rail lines serving mines in the state of Queensland. Three lines are set to re-open by the end of this week according to operator Aurizon but large sections of the Goonyella railroad in the centre of the network could be out for a further four weeks. 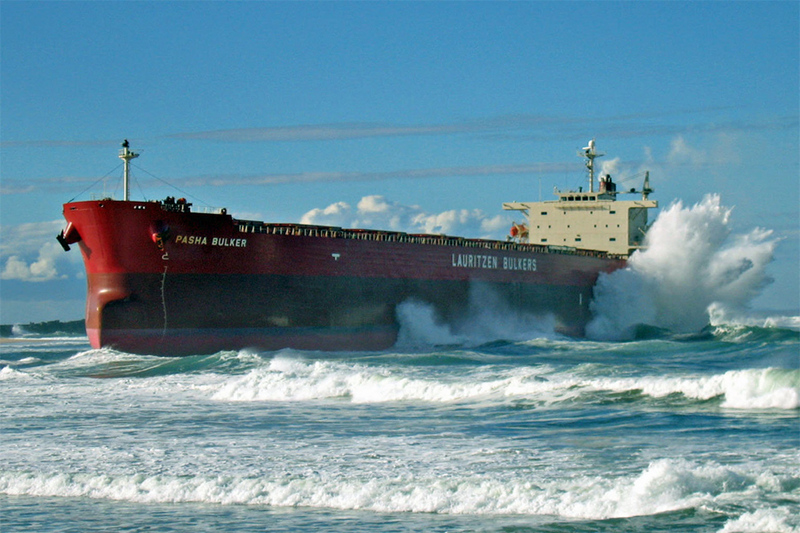 Roughly 12–13 million tonnes of Australian met coal cargoes destined for China, India and Japan could be delayed. Customs data released yesterday show Chinese imports of coal – both thermal and metallurgical coal – in March rose 12.2% from a year ago and 25% from February to 22.1 million tonnes. A reduction in allowable work days at China's coal mines last year sparked a massive rally in coal prices, lifting met coal prices to multi-year high of $308.80 per tonne by November from $75 a tonne earlier in 2016. But the speculative rally fizzled soon fizzled out with the commodity hitting a 2017 low of $150.10 a tonne last month.